It's getting close to Back to School time. That makes me think of creating bulletin boards. This Bright Idea might be of help! I don't know about you, but I never loved creating bulletin boards and displays. I am a bit of a perfectionist when it comes to making sure everything is straight and lined up. I used to work for hours, pinning, stapling, and rearranging until everything was just right. Then one day I had this Bright Idea. I used 2 pushpins and a meter stick to help me align the items I was putting up. Simply insert the pushpins spaced about 30 inches apart and rest the meter stick on top. (I used a level to make sure the meter stick was level - now there are free level apps for your phone!) 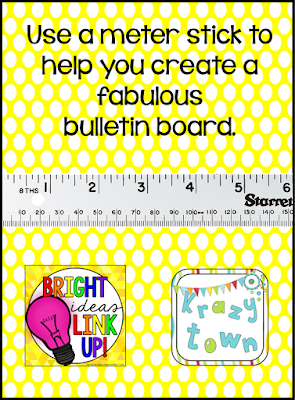 Straight pins can hold the objects on the bulletin board temporarily while you use the measurements on the meter stick to guide your spacing. Once satisfied with the layout, use your stapler to fix them in place. If you are mounting multiple items, it's easy to move the meter stick up and down. Just remove and reinsert the pushpins where they are needed. 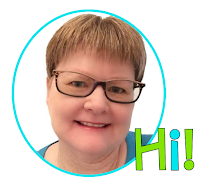 If you enjoyed this Bright Idea, please consider visiting my Teachers Pay Teachers store and joining me on Facebook or Instagram, where I share more great ideas. 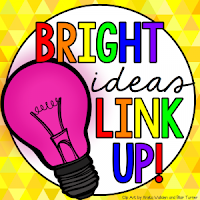 For more bright ideas from different bloggers, please browse through the link-up below and choose a topic/grade level that interests you. Thanks for visiting! Suzanne: I have made a LOT of bulletin boards in my time, and I have often used a yard stick. And not once did I ever think of using push pins to hold it in place! I'm setting a limit of three "rearrangings" this year... and I think your tip will keep me from moving the letters up and down twelve times! Thanks for the easy-to-use idea! Gosh, I hope it helps make your life easier. We all need that! That is a very clever idea! I never though of it! Thanks for sharing! You're welcome. Only took me nearly 15 years to figure out...better late than never, right? What an awesome "Bright Idea"! I'm going to need help with this...lol Just kidding. I am not doing BB anymore. I really needed this when I did the March Madness tape! oh my. That March Madness board you did was crazy! Loved it! What a great idea! I also have a free app on my iphone that's a level. (I think I found it on a previous bright idea post!) 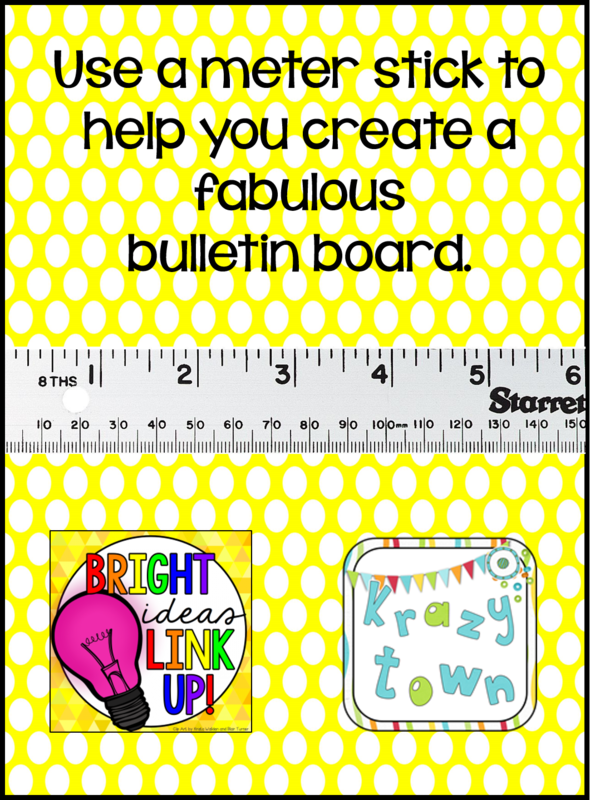 Between the two, bulletin boards will be MUCH easier! Thanks! OH my Goodness!!!! Brilliant! As I was reading this, I was thinking why haven't I ever thought of that. I would struggle holding up a yard stick and trying to measure things out only to have them be put up crooked anyways. Thank you! You have saved me a lot of time and headache with this idea! This is amazing! I loathe doing bulletin boards because I always mess up on the spacing. This will totally help! Thank you! I love the idea of using pins to temporarily put up and before stapling in place!